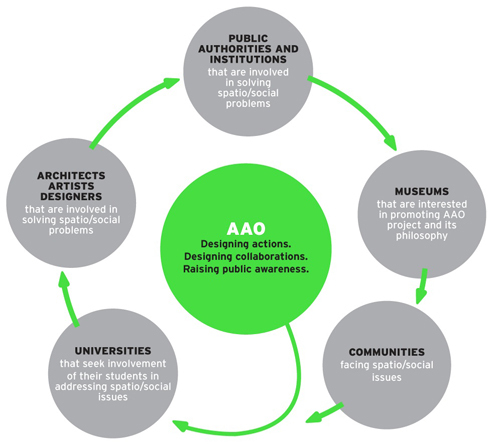 At the same time, AAO project aims to inform and raise public awareness as to the function and positive effect of Architecture for the benefit of society as a whole. But also as to the art of Architecture to act as a mediator of social tensions and be considered as a resource, one of the instruments which contribute to the balance of society. For this year, Against All Odds has scheduled a series of actions and events under the title Ethics / Aesthetics. Curator at large of Ethics / Aesthetics is architect Lina Stergiou.